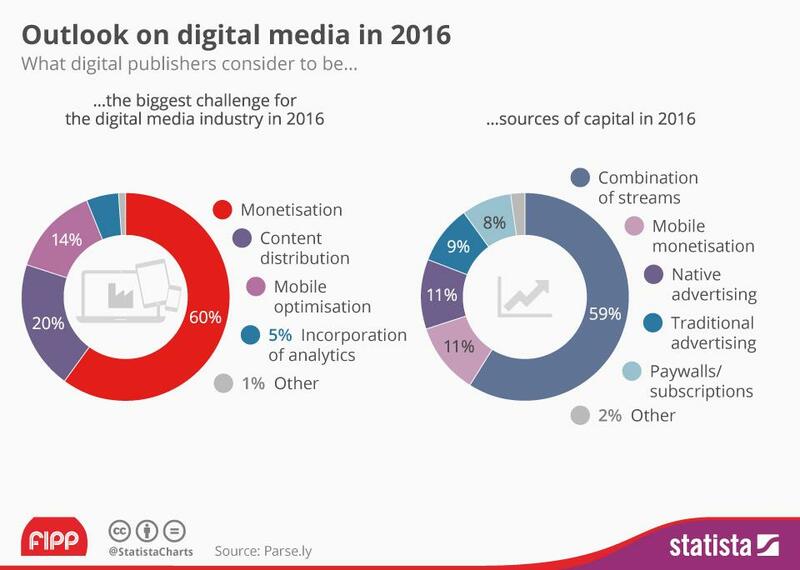 News websites, especially in India, have become more commercial. Many online newspapers in India are criticized for being hastily thrown together with little care from publishers about content. For a country that has seen almost 2 decades of online news, it’s quite a surprise when the standards have seemed to be falling down the graph with every passing day. 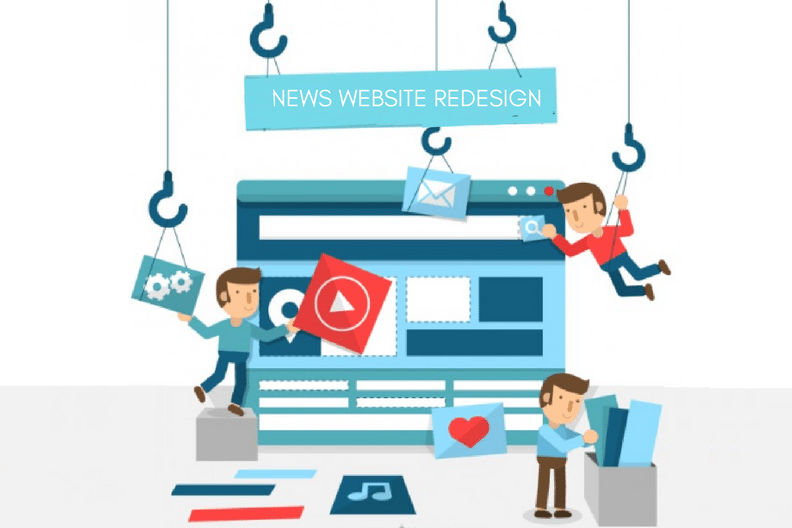 So today, we decided to address these problems and talk about some news website redesign tips that would enhance the reading experience on an Indian news website. While digital journalism allows for connection and discussion at levels that print does not offer on its own, many believe that this form of journalism has created a number of sites that do not have credible information. Some critics believe that newspapers should not switch to a solely Internet-based format, but instead keep a component of print as well as digital. The interaction between the writer and consumer is new, and this can be credited to digital journalism. There are some disadvantages to this, however, the main one being factual information. There is a pressing need for accuracy in digital journalism, and until they find a way to press accuracy, they will still face some criticism. This is why we feel that there is a need for news website redesign in India. While it would be naive to suggest anyone should run a business without making money, a desire to do good needs to remain the bottom line. Many outlets will post just about anything to make ad revenue. They will even go so far as to venture completely outside of their initial intention simply to keep up with making funds. Research Study From AdKeeper Reveals 61% of the Respondents Say Banner Ads Distract Them From the Content They Came Online to View. News websites are driven to make money by exploiting a niche market, not a desire to create change, and so they make low-quality websites and content so ads can be placed on the website. The worst part about these ads are that they are nothing but distracting on the websites, and take the attention away from what’s more important – content. This is one of the top reasons for the need for an immediate news website redesign. How is this problem being addressed by Indian News Website Readers? 122 million users in India were actively using mobile browsers with built-in ad blocking, as of March 2016, suggests a study conducted by PageFair. India stands second among the 17 countries identified by the study. Ad blockers were proving to be a boon to Indian online news readers, when in June 2016, the top 10 news websites in India decided to join hands and take a stand against people who use ad-blockers. Users who visit these websites with ad-blockers enabled were asked to turn them off to be able to get their daily news fix. 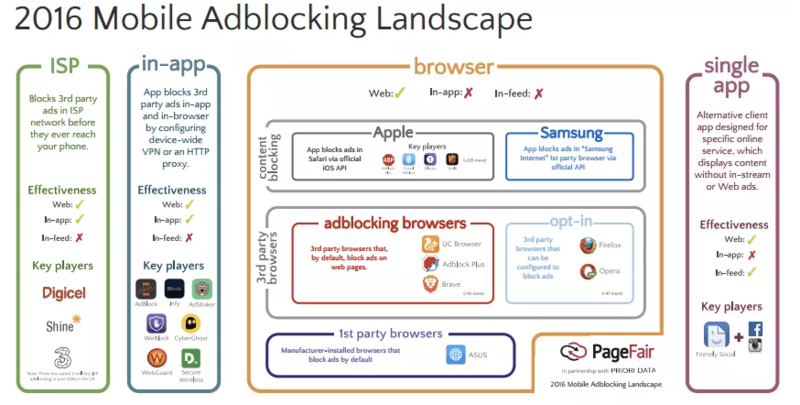 Ad-blocking advocates say that the reasons to block ads are more than just making web pages look better cosmetically — blocking ads often means that pages load dramatically faster, and protect users’ privacy by blocking tracking cookies in addition to ads. If half of the net users in India are using ad blockers, that indicates there’s something wrong with the advertisements being served online. Most news websites use roll-over advertising and banner ads which not only annoy users but also drain a reader’s data. 1. Show advertisements with relevance. 2. Ads must be non – intrusive and better placed. 3. Ads shouldn’t overlap content. Since many of these websites are run by one person, they take their content from other websites. And since their primary objective is to make as much ad revenue as possible, they often look for the most trendy or viral topic and repost without ever checking to see if the story is true. Health research, political scandals, lifestyle suggestions, and more — these topics often contain false information and there is no research behind it. A news website needs to include design (fonts, layouts elements), advertising (multiple ad serving and analytics), data collection (even though most sites collects way more data that they are able to process), a/b testings, and other marketing voodoo. Unfortunately today, we see the concentration lies only in completing one task – Advertising and leaving everything behind. At the end of articles on hundreds of Indian news websites are typically two columns of links to other “related” articles. They appear to be linked to site-approved content but are actually paid links to articles on other sites. These links presumably are somewhat targeted to the individual user, but often include a bewilderingly random set of links. Only a few sites provide a very brief synopsis up front, a bullet point list of pertinent details, and a headline that is sensationalist. The irony is that many of these linked articles are useless, but these links lie on sites that are not useless. These Indian news websites have to give more importance to their content and concentrate on what readers want the most – NEWS, not ADS! Some of the most famous Indian news websites use very poor font size on their websites. There are sites that have the “Highlight” section in a smaller font than the entire article. The main intention behind a Highlight section should be to highlight, if the font is smaller, this pretty much gets unnoticed. We also see how some sections are bold where it is unnecessary and this makes a user read unimportant content and the real content gets hidden under small font size and light colors. The images that are uploaded to a newspaper or magazine website should all use the same proportions. This results in a cleaner and more consistent appearance. Using heavy files slows down the page and doesn’t load quickly. This can result in loss of viewership. 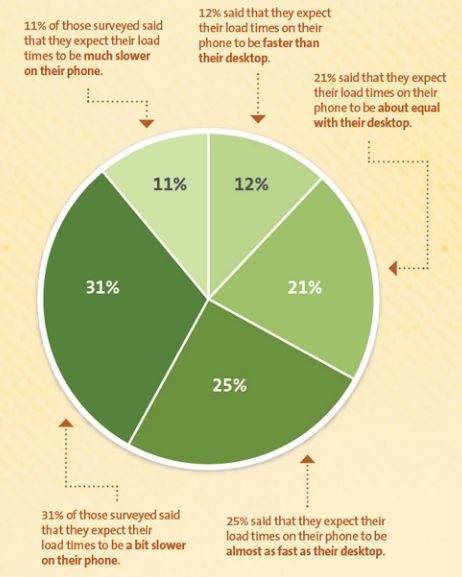 40% of people abandon a website that takes more than 3 seconds to load. 1. Content should always be king. 2. Use the right amount of line spacing and line height. 3. Highlights should be enlarged, font sizes should be chosen rightly. 4. Image size shouldn’t be too large and the images should be proportionate throughout the website. The online appearance of news website speaks a lot about its legitimacy. Accessibility is a key that has to be integrated into its aesthetic. Internet users know that they are free to navigate away from a website that doesn’t provide useful and true information. That’s why it’s important to maintain a functional and efficient news website that has easy user navigation and doesn’t disrupt reading. 1. The website must be clean with an easy-to-follow navigation system to contribute to a usable web page layout. 2. A layout that is easy to follow will give the site’s visitor easy access valuable and important information. 3. Content on the website should not be difficult to find. When content is difficult to find on a web page, visitors get agitated and choose to leave the site with the possibility of not returning. 4. The layout of the site should also be created in relevancy with the topic of the website, otherwise, the readers will quickly lose their interest. 5. The same thing about the color scheme. For a news website, the use of variegated colors wouldn’t be appropriate. Did you know that your main menu is a part of your marketing? What your menu says gives your visitors a small indication of what your website is about and whether or not they are in the right place. Main menu mistakes directly impact the amount of leads and sales from your news website. We have witnessed some really bad menu options in Indian news websites and we recommend a news website redesign, especially of menus and subcategories. Hick’s Law says that the more choices you give someone, the longer it will take them to make a decision. 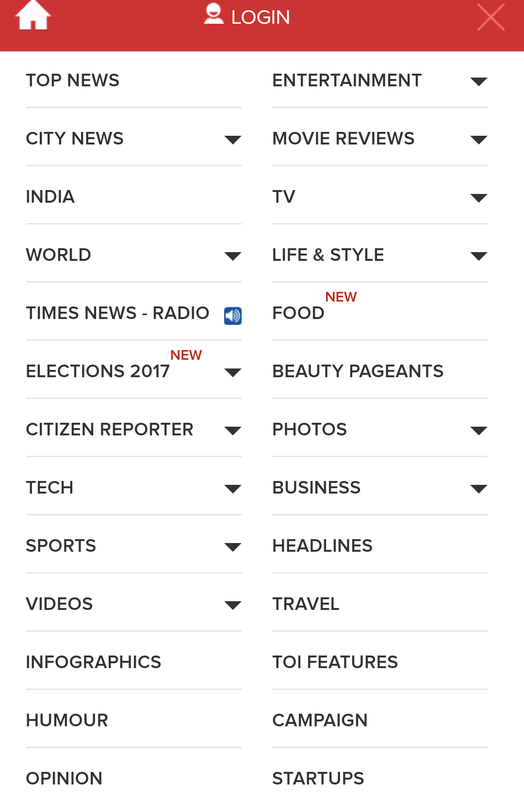 So it’s time Indian news websites help their visitors make a decision by keeping their main menu short, and therefore simple to understand. Read about some of the major menu mistakes in websites and make sure you don’t make these on your news media website. Many Indian news websites rely on advertising for revenue. 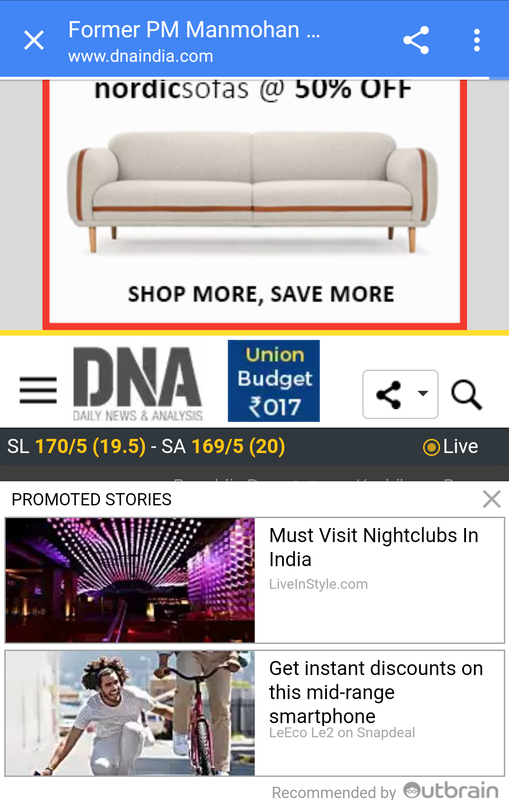 Here are some places that ads are placed on Indian news websites that make the website distractive and makes a reader lose interest instantly. These are the reasons that we suggest an immediate need for news website redesign in India. 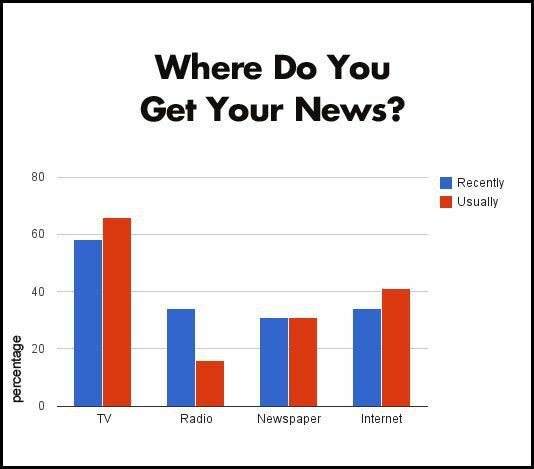 A viewer typically visits a news website for the content, and they expect content to be the first thing they see. If there is nothing but advertisements above the fold, with the actual content buried somewhere below it, a user will find his time wasted. Full-screen floating ads, also known as overlay ads, are those that fill visitors’ entire browser windows, preventing them from viewing any content on the website until the ad finishes or they locate the button to close it. This contributes to a site’s bounce rate — the number of visitors who, upon coming to the page, immediately leave it. To get more traffic to pay-per-click ads, most of the Indian news websites attempt to disguise the ads as content. Common techniques include a “related content” section at the bottom of an article, which looks like a series of links to articles on similar topics, or a navigation toolbar that doesn’t actually take you anywhere worthwhile. What types of advertisements you run on your site and where you place them can greatly affect how your site ranks in Google’s search results. Intrusive advertisements that block a user’s’ ability to see the content will result in a poor user experience. In addition to ads, if a news website homepage is cluttered with irrelevant information, first-time visitors may become distracted or overwhelmed. This is a generally true heuristic in web design and conversion optimization. More time is spent trying to simply figure out the purpose of a site and, if the page is confusing enough, visitors will abandon a website when this task becomes too difficult. This issue can lead to short and long-term decreases in sales. Studies reveal that advertisements on a website homepage are clutter and interfere with first-time visitors’ initial and immediate understanding of the site’s purpose. Of course, the specific types of ads matter as well as the relevance of the ads to the content. Visually and viscerally, though, the ads are distracting immediately on the website, reducing the clarity of its message. We feel that focussing on content and decluttering increases readership and in turn increases chances of a user clicking on a relevant and a well-placed ad. So while it may seem that more ads generate more revenue, in the long run, more readership and well-placed ads increase revenue. We are no longer living in a world where smartphone users can be considered the exceptions. We are not even living in a world where excessive smartphone users can be considered exceptions. Today, more than 450 million people are accessing the web in India. And 371 million people are using it through their mobile phones. In other words, if they’re online, they are most likely on their phones. Two major industry trends force us to reconsider the way we build our websites and think about news website redesign. The first one is the rise of ad blockers that pride themselves on providing faster navigation and at putting less strain on computers. The second trend is the rise of mobile surfing that accounts for half of page views in mature markets. And, in emerging countries, users leapfrog desktops and access the web en masse through mobile. We have discussed the first one, let’s take a look at the second – mobile friendly news website. 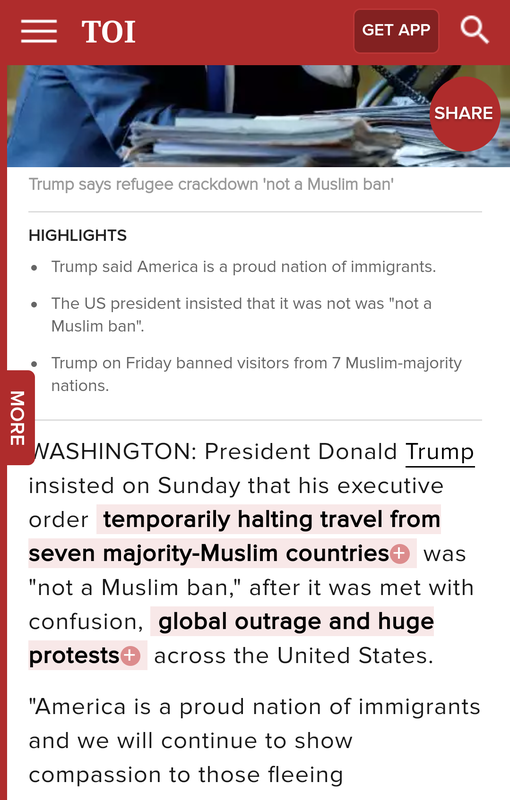 It appears that the approach used by many news publishers when optimizing for mobile is simply to scale down their news website and make it responsive. The key aspect that all news outlets contemplating their mobile presence need to understand is user habits. Many people only stumble upon a news website because they clicked on a link someone shared on Facebook or Twitter, through an emailed link, an RSS feed or the related content at the end of an article. News publications need a mobile website that accounts for this. 1. 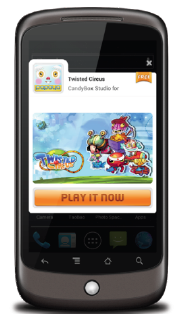 The first step to optimizing for mobile is implementing a responsive website design. 2. Include a viewport meta tag, area used by the browser rendering engine to determine how content is scaled and sized. 3. The font size, it should be at least 14px on mobile and buttons can be as big as possible. 4. Remove auto zoom as it can really mess up layout elements, especially for images and navigation content. 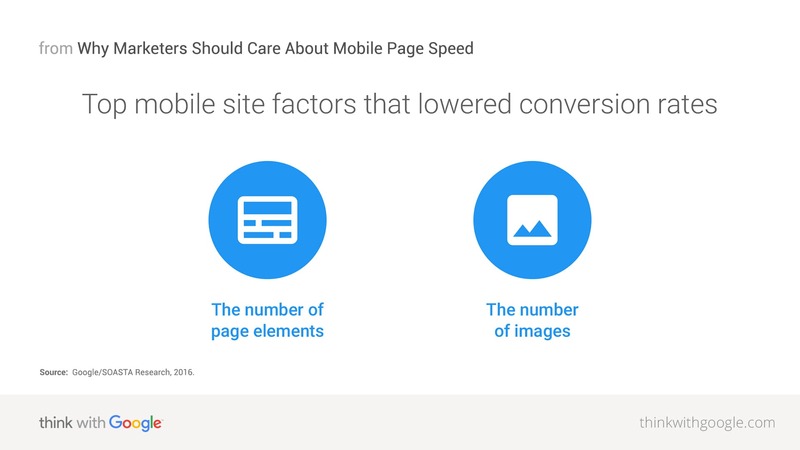 Read about more ideas on how to optimize your website for mobile. Since Indian news websites have a knack for highlighting unimportant things, a website (and sometimes an app) ends up as a disorganized pile of everyone’s demands. Lack of choice leads to anarchy. In the process, publishers end up sacrificing a precious commodity: SPEED. One of the biggest driving forces behind ad blockers has been the immense degradation modern advertising practices can cause to user experience – slowing web pages down by burdening web browsers with hundreds or even thousands of requests to fully load all of the advertisements and analytics. A brief look at a cross-section of major news websites from throughout the world suggests that news websites are among the most bloated sites on the web today. To stem the tide of ad blocking, the journalism industry should think about news website redesign and actively explore open source mobile optimization platforms like Google’s Accelerated Mobile Pages (AMP). One of the design principles of Google’s Accelerated Mobile Pages program is to forcibly streamline websites to put user experience first, with advertising and analytics woven far more seamlessly and sensibly into page delivery. As an open program, it avoids the lock-in and walled garden environment of Facebook’s Instant Articles, allowing news outlets to continue hosting their own content and precisely controlling its distribution and makeup while contouring their pages to best mobile practices. In many ways, the experience of reading news online is worse today than it was in the early days of dial-up internet. at least back then web pages were mostly text, and even if they used images, the text always loaded first. When it comes to the economics of online publishing, the first thing to remember is that their job isn’t to get the news to you. Rather, it is to monetize you, by selling you off, in real time, to the highest bidder. This happens every time you click on a link before the page has even started to load on your phone. Even in the age of superfast computers and internet, the online news reading experience has fallen below a lot of reader expectations. This is precisely why we recommend a news website redesign. 2. 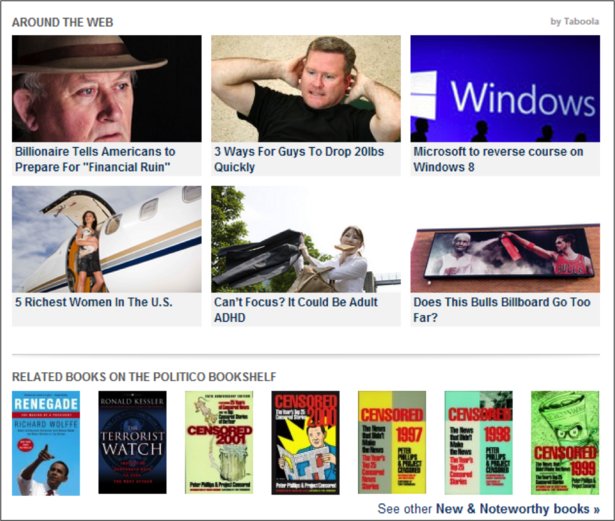 The ban on ad blockers won’t probably work because readers want ad free websites. Forcing them won’t help. 3. Google will not rank pages with slow speed. People are starting to realize en mass that the mainstream media has its own agendas. They are starting to move away from this sponsored, biased content and looking for other sources. An analysis of Indian news websites shows how poorly designed news sites are. There is an increasing need for news website redesign. Let us know what you think in the comments below! The past few years have seen an explosion of innovative approaches to both the practice and business of journalism. At a time of great flux in the media ecosystem, it would be counterproductive, to create rules which would have the effect of privileging one journalistic business model over others. The Indian publishing industry is going through a churn and there’s no clarity on which model will make it to the end but one thing is clear – Indian news websites can’t afford to take readers for granted. And hopefully, someday, some of our news website redesign tips are taken seriously and implemented, for a better reader experience. Read more on our post about What You Can Learn From The Best News Website Designs.